Bali is known to be a tropical paradise. With white sandy beaches, raw greenery and vast mountains, there is nothing not to love about this exotic place! While many couples choose to have their photoshoots at the famous beaches, we have a few wilder couples who chose to have their photos taken at Bali’s amazing waterfalls. The results were jaw-dropping. We have a list of Bali’s 4 most photogenic waterfalls where you can take these magical pictures with your partner. Prepare to get a little wet and a whole lot of fun. This has got to be the most popular waterfall amongst our couples. The gushing water and foamy bubbles form the definition of a waterfall. A beautiful water mist is created at the shallow pool below and creates a natural filter for your pictures. The natural black pebbles found at the bottom of the waterfall and are exclusive to this area and are great props for your photos! For more adventurous couples, you can even climb up to higher ground and get unbelievably close to the waterfall. Taking a photo from this vantage point is an experience on its own. Another popular waterfall that is located within Bali’s forested central-northern highland region. This waterfall is higher and narrower than the Tegenungan and it is surrounded by a lush forest that distinguishes it from many other waterfalls. A charming place to have your photoshoot if you are looking for the perfect blend of water and greenery. This is more of a hidden gem in Bali and not many tourists go to this waterfall, which makes it even better! It is definitely one of the most gorgeous waterfalls around that area. The water doesn’t gush like normal waterfalls but instead falls gently and creates a beautiful trickle that almost look like strings of crystals. The interior of the waterfall looks like part of a cave and if you visit at the right time, the sunrays shining into the waterfall makes it even more stunning. Okay, we cheated. This isn’t exactly a waterfall but to be fair, it sure does look like one! Built on one of the largest rivers in Bali, you wouldn’t expect a dam to be such a wonderful picture spot. 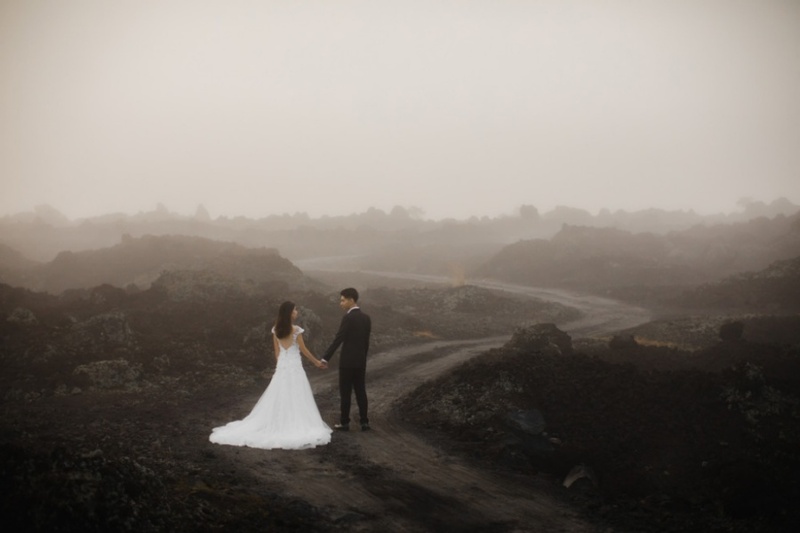 We are glad that one of our couples explored this idea and the photos turned out great! You may even get some cheeky local kids to do some cheesy poses for you like they did! Which waterfall did you find the most beautiful? Let us know in the comment below! 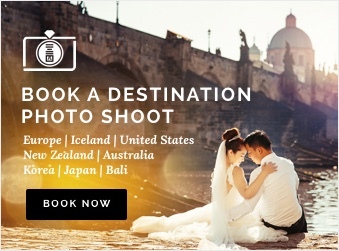 Bali is an amazing place for pre-wedding photoshoots and destination weddings because of its many natural gems. 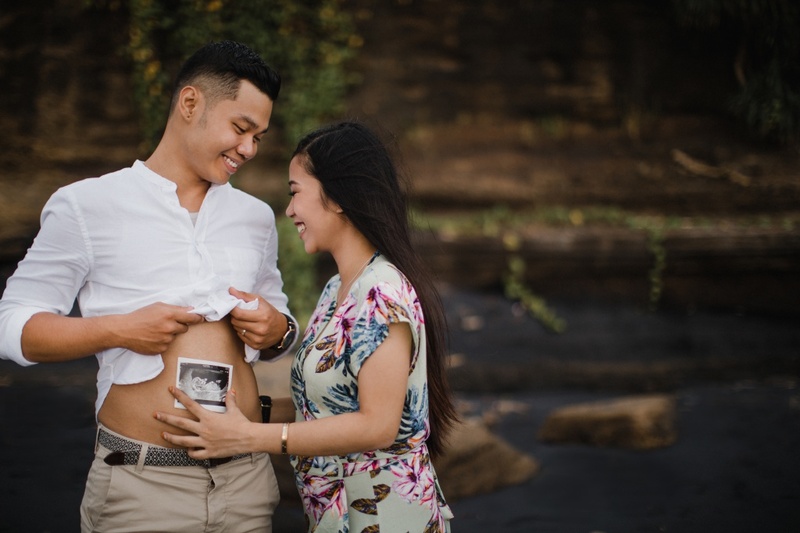 If you are looking for a Bali photographer to capture your wild and sweet moments, do head over to our website or check out our Bali guide and packages!